Queensland is a northeast Australian state known for its vast coastline which stretches out to over 7,000km. It’s also famous for the Great Barrier Reef, which is the world’s largest coral reef, hosting thousands of aquatic lifeforms in its depths. The capital of the state is Brisbane, which is replete with some of Australia’s best surfing beaches. 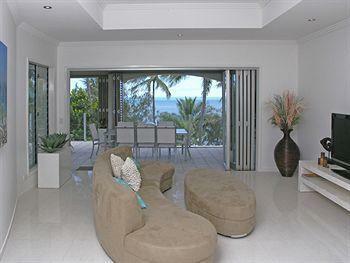 Because of the vast presence of beaches in Queensland, there are also a lot of great resorts here for you to stay at. This is a rundown of the 15 best resorts in Queensland. The Lizard Island Resort is great in a lot of different ways, and we shall get into that shortly. However, it’s also one insanely difficult resort to actually get to. The nearest airport, Cairns, is 250km away from the resort. You need to get there by taking a one-hour long flight, followed by a ride on a golf buggy, and then you’re taken to the resort. It’s a very green resort, surrounded on all sides by a lush national park, and it has the pleasure of looking over the Anchor Bay and Sunset Beach. An interesting bit of trivia about the resort is the fact that it was massively damaged by a cyclone in 2014 and 2015, and after that it had to be reconstructed. However, the resort is all the better for it now. The general color palette of the resort is in hues of cream, beige, and grey, and every aspect of the resort has been designed in such a manner so as to resemble the Great Barrier Reef on which the resort stands. The beach club also comes with amenities such as a large swimming pool, spa rooms, tennis courts, etc. If you’re interested in engaging in water activities, you have plenty to choose from. You can go snorkeling, paddle boating, scuba diving, or kayaking. However, if you’re coming here you should also know that you’ll be completely cut off from the grid with no cell phone connection, and you’ll only get minimal WiFi in the lobby area. 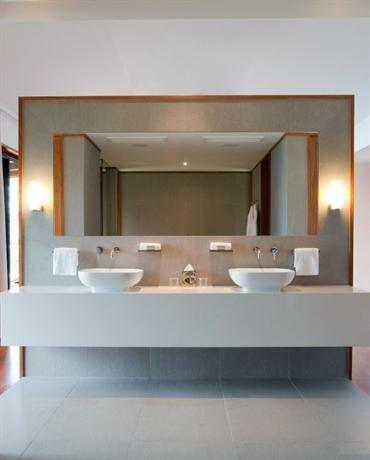 The Qualia is a beautiful and picturesque resort located in northern Hamilton Island. The resort is located on a private beach, and as such you have complete access to a beach that is stunningly maintained with the glittering emerald sea as far as the eye can see. The Hamilton Island, on which the resort is located, is perched on the very end of the Great Barrier Reef, and as such it’s ideally placed to explore the aquatic life. The interior decoration of the resort resembles that of the great barrier reef surrounding it, and all the furnitures have been designed with locally imported wood. The resort is equipped with two swimming pools, a famous treatment center, restaurants, lounge areas, and they even offer yoga classes in the morning. The guests of the resort are also offered private golf carts that you can use to navigate your way through the island. The resort comprises a series of grand villas, and all of them feature floor to ceiling glass windows, a plunge pool, living room, plenty of space, and a stunning view of The Coral Sea. Even the Whitsunday Islands are visible from the rooms. 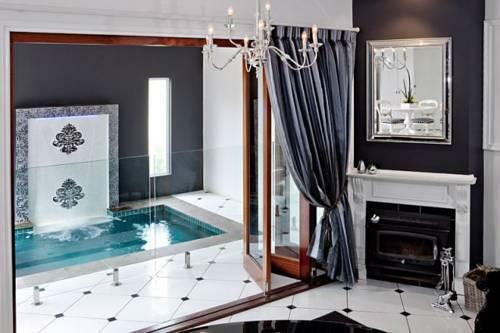 However, the only complaint that the resort has received has been in relation to their bathtub. It’s large, grand, and very deep, however some guests claim that it’s impossible trying to figure out how to drain it. The Castle on Tamborine is located in one of the most picturesque spots in Queensland, on the Tamborine Mountain. This grand resort can only be described in terms of peace and tranquility along with luxury and elegance. This location is ideal to visit on special occasions such as a honeymoon or anniversary. It’s also ideal for a weekend getaway, however because of its remote nature it’s best for short stays and not for a prolonged one. The Castle on Tamborine is one of the Lisson Grove cottages, which means it’s one in a series of six resorts that have been designed thematically in a quaint English greens cottage style. This theme offers deep intimacy in the resort. The Castle on Tamborine is actually the crowning jewel amongst all the resorts in the Tamborine Mountain region. 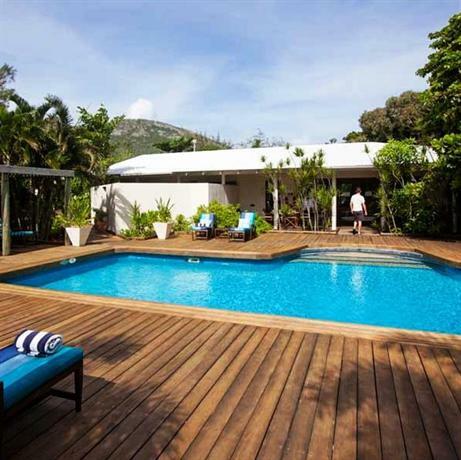 The resort features a garden courtyard, a heated plunge pool, and even a lovely theatre opposite the plunge pool so you can enjoy a movie while soaking in the warm water. In addition to these, the resort also comes with a luxurious spa. The Castle on Tamborine, true to its name, is designed in the stylings of an old castle with antique furnishings in place, and all the signs of modernities are made discreet so that the theme may continue uninterrupted. The resort also has several lovely restaurants and wineries where the guests can go for wine tasting. 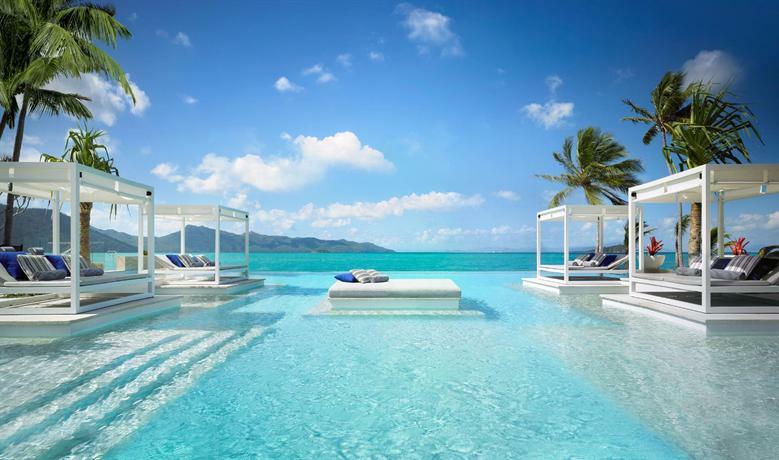 The One&Only Hayman Island is a three-mile private island located in the north of Whitsunday Islands. To reach the resort it takes a half-an-hour ride by boat, or 10 minutes by helicopter. If you’d like to take long walks down the beach and go for a romantic picnic, you can make your way down to Langford Sand Spit, which is 10 minutes away on a speedboat. The resort has been designed in a ruthlessly contemporary and modernist style, which has only been accentuated further after its recent restructuring. While the resort itself is surrounded by lush green trees and beautiful colorful plants, the interiors of the hotel have been designed in a minimalist style with pristine white and strong hard lines. The floors in the resort are made of stone, and that adds a sense of intimacy to the resort. All the suites and rooms in the restaurant are equally large and spacious, allowing plenty of natural light in through large floor to ceiling windows. The bathrooms have all been made of pristine marble, and they’re equipped with the best of toiletries. You should consider getting one of the beachside studio-style villas, all of which feature their own plunge pools and a courtyard. The best views you can find in the resort are from the Beach Wing rooms. The Silky Oaks Lodge is located 90 minutes from Cairns airport, however it’s in quite an ideal location. The resort serves as a gate leading to the wonders of the Great Barrier Reef, and you can also go to explore Mossman Gorge, wherein the locals of the area love to show tourists around their cultures and traditions, while taking you on a tour of the forest lands. If you love being surrounded by flora and fauna, you couldn’t find a better place. The resort is surrounded by lush forests, and you’ll probably spot a variety of wildlife as well such as the bush turkeys, the wallaby, and many species of exotic birds. This resort is also ideal for those with an adventurous streak as you also get the opportunity to go swimming in the river, or go hiking and exploring in a group with other guests in the resort. If you would like to embark on these activities on your own, you can also make use of the signposted hiking trails that can show you around. Other activities that you can engage in are kayaking, snorkeling, biking, amongst others. If you’d like to relax and regain strength you can go to The Healing Waters Spa, which offers a bunch of truly rejuvenating treatments to heal your muscles and your stress. In addition to all of this, the resort also comes with a tennis court, and you can opt for yoga classes which are usually held by the river. 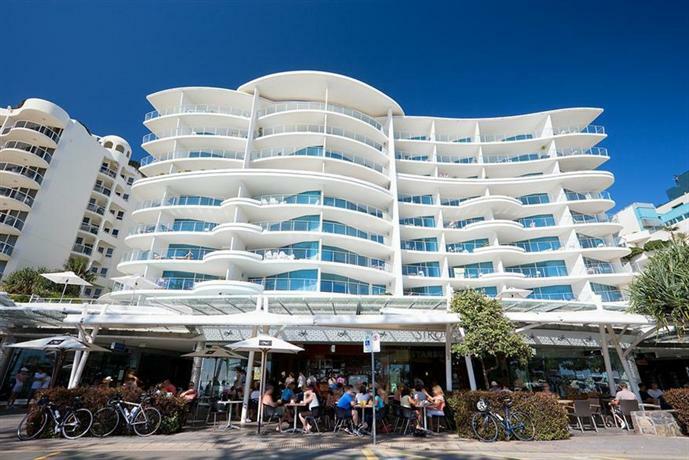 The Netanya Noosa Resort is located on Noosa’s Main Beach, on the tourist strip called Hastings Street which is flanked by boutique stores and cafes that you can visit and hang at. If you’d like to get some delicious but budget meals, you can walk over to the Surf Lifesaving Club, which overlooks the sea. This resort is more like an apartment, it’s smart, efficient, and beautifully designed. The furniture is the color of pale wood, and in typical resort fashion, everything is made of pristine marble and the resort features its own pool and gardens. 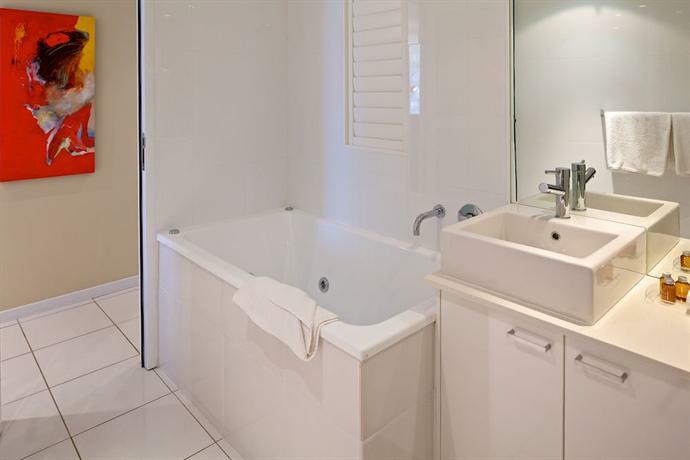 The Eumarella Shores Noosa Lake Retreat Weyba Downs is located in one of Australia’s most famous beach strips at Queensland’s Sunshine Coast. This resort truly feels like being at home, and unlike some of the previously mentioned resorts in the list, this one is ideal for you to stay at for a longterm period as well. Some of its best features are the fact that it’s eco-friendly, and that it’s quite removed from all the crowd’s of prime locations, yet it’s close enough to the beaches and cafes. This resort is also the perfect point from which to enjoy the sight of waterbirds on the sea, or the sight of kangaroos hopping by. 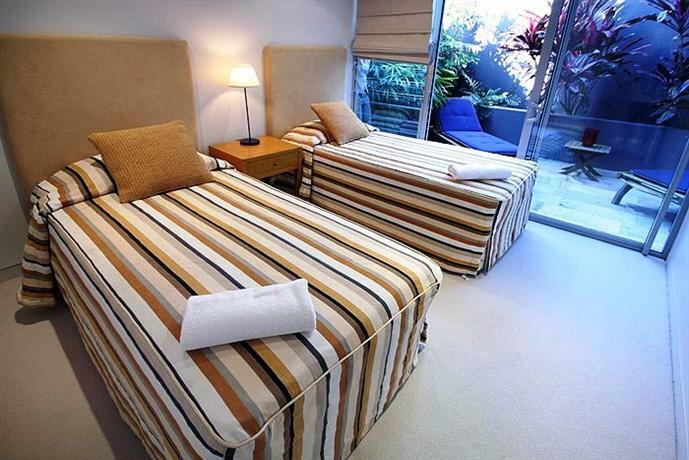 The Coconut Grove Apartments in north Queensland is one of the most luxurious resorts around with a truly cosmopolitan look, located in the thriving Macrossan Street. It’s within walking distance of the Four-Mile Beach, and located well enough so as to get a stunning view of the glittering sea and the mystical rainforests. If you’re looking for a true taste of luxury, you should get one of the level one apartments or the rooftop apartment, as they come with their own plunge pool and have better access to the spa and entertainment amenities. 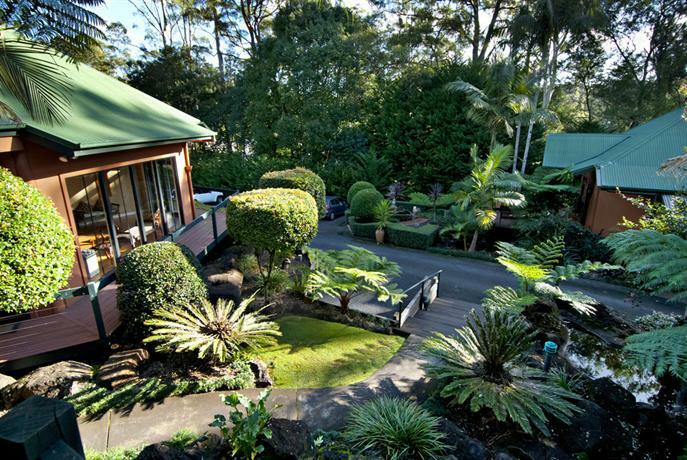 The Escarpment Retreat is one of the best mountain rainforest resorts in Australia, located in Mountain Tamborine, surrounded by acres of botanical gardens. The resort is also within walking distance of running stream, and you can walk over to sights such as a grand waterfall. Because of the remote and secluded location, this is perfect for weekend getaways and for romantic trips, however it’s not ideal for a longterm stay. The resort also features a deeply relaxing and professional Day Spa that couples can avail of. The Mantra Sirocco resort is located on the Sunshine Coast beach, and all the rooms in the resort enjoy a view of the ocean. The resort is within a short walking distance of some of the best restaurants and cafes in the Esplanade region. If you get the penthouse suite you also get a private rooftop balcony and spa. The suites in the resort feature two to three bedrooms and they’re all extremely spacious with marble finishing on the bathrooms. 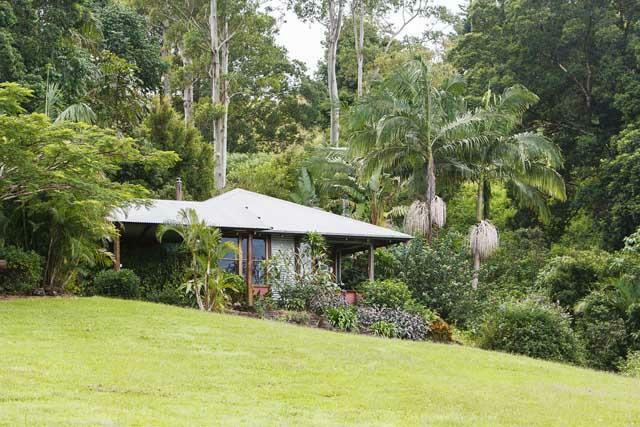 The Misty View Cabin Resort is located on the Sunshine Coast Hinterland. This is a luxurious resort that’s also quite secluded from the cities and the popular tourist destinations. As such, it’s ideal for people who are looking to go off the grid and enjoy some peace and quiet, or for couples looking to reconnect in isolation. The resort offers a stunning view of the Lake Baroon, and it’s surrounded by dense tropical rainforests comprising a wide variety of flora and fauna. The resort comprises a series of quaint cottages for couples that offer panoramic views of the lake and rainforest. The name Misty View is derived from the fact that in the early morning you can see the cloud of mist roll over the lake. The Pethers Rainforest Retreat is a great resort you can go to if you don’t want to stray further than 60 minutes from the prime locations of Brisbane or Gold Coast. 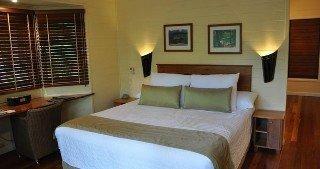 This resort is located on the Gold Coast Hinterland, at North Tamborine. This is a reset designed solely for adults and it’s surrounded by rainforests on all sides. The greatest attraction of this resort is that it comprises only ten cabins perched atop tree branches. As such, you can spend a lovely weekend living in a tree house with timber floors, entertainment system, and even a private spa. This is ideal for romantic getaways. The Rise Apartments Noosa is located in one of Australia’s most modern and cosmopolitan locations called Noosa. It’s a seaside village with grand restaurants, charming cafes, and boutique stores that you can shop at. You’re also within walking distance of the famous Laguna Beach. If you enjoy hiking through rainforests, you can walk amidst the Noosa Woods as well. 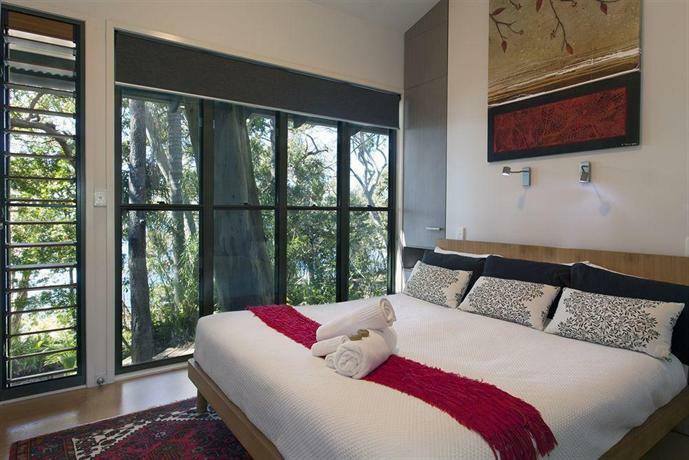 If you’re at this resort, you should also take advantage of the location to go to the Noosa River precinct, which is a location set beside a river that’s quick becoming one of the biggest tourist hotspots in the area. As far as the amenities of the hotel are concerned, it features a heated swimming pool, 39 rooms, and even a hot jacuzzi. The Azjure Studio Retreat is nestled in the Granite Belt area, and as such it’s in the prefect location to enjoy a choice of wineries, restaurants, and even national parks. This resort features a panoramic view of the rainforests and lush greens all around, comprising a vast range of plants and animals. It’s located in an ideal location to be able to see kangaroos up close. This resort prides itself on providing complete privacy to its guests, and as such they’ve even done away with the check-in and check-out system. The day before you’re bound to come, you’ll receive a text with the key numbers, and you can simply let yourself in. You don’t have to interact with any staff if you don’t want to. The Island Views Palm Cove is a lovely beach side resort and as such you’re perfectly placed to spend an entire day by the beach. The rooms in the hotel are extremely modern and contemporary and they take care to equip the room with all modern necessities and luxuries. All the rooms in the hotel feature their own private balconies from which you get a panoramic view of the Coral Sea. This resort is ideal for those who want to stay in luxury, surrounded by nature, and within walking distance of the beach.